House Speaker Paul Ryan said at a nationally-televised town hall Thursday night that a new deportation force is "not happening." The hard-line immigration proposals of President-elect Donald Trump, including a pledge to deport millions and a repeated openness to such a force, were central in his successful campaign. 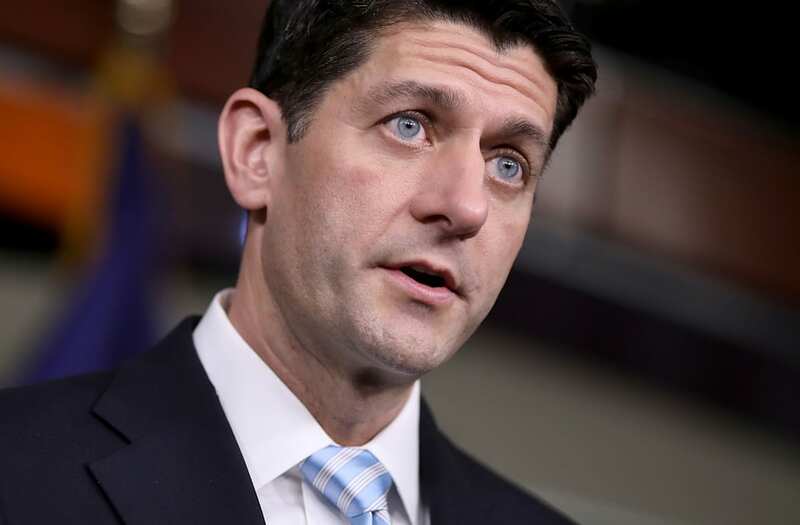 "No," Ryan told audience member Angelica Villalobos, a woman who stood with her daughter and said she was in the country illegally, when she asked if the speaker thought she should be deported. "I can see that you love your daughter, that you're a nice person that has a great future ahead of you, and I hope your future's here," Ryan said. But CNN host Jake Tapper pressed him further on the issue, noting Trump's pitch as recently as August to create a "deportation task force." "Everybody thinks that there's some deportation force that's being assembled. That's not happening; that's not true," Ryan said. "And I'm here to tell you, in Congress, that's not happening." After winning the election in November, Trump told "60 Minutes" he was going to move swiftly to deport "probably 2 million, it could be even 3 million" people he alleged were "criminal and have criminal records" or were "gang members, drug dealers." "We're getting them out of our country, they're here illegally," Trump said, adding that his administration will then make a "determination" about the remaining immigrants in the country illegally.